Screen Savers: Will Online Financial Planning Catch On? With the "flash crash" seared into investors' minds, would they trust a financial planner who climbs out of a computer? New online financial-planning services, led by a Philadelphia-based startup called Veritat Advisors, aim to replace the traditional in-person approach with a faster, cheaper beam-me-into-your-living-room model. Here, you feed details about your income and net worth into a secure website. Aided by advanced software, an adviser then generates a comprehensive financial plan and investment recommendations, followed by live video chats. Cheap, trustworthy advice is in desperately short supply. The economist Robert Shiller of Yale University has estimated that roughly 50 million Americans with no access to professional advice could benefit from it. But the typical financial adviser can serve only about 70 to 90 clients at a time, reckons Mark Tibergien, managing director of Pershing Advisor Solutions. It would thus take well over 550,000 advisers to cater to the needs of everyone who needs help with saving, borrowing, investing, retirement, taxes and estate planning. There are 62,000 certified financial planners in the U.S., according to the CFP Board of Standards. They often charge upward of $150 an hour for a consultation and $3,500 for a comprehensive financial plan—rates that scare off many potential clients. Of course, when computer models go awry, they can contribute to monster-size problems, like the flash crash or the flawed assumptions that helped precipitate the financial crisis. Veritat's brain trust certainly seems impressive enough. Its president is Kent Smetters, a risk-management professor at the University of Pennsylvania's Wharton School who also teaches applied mathematics and computer science. Veritat's software draws on academic research to solve common problems in financial planning, such as when to spend and when to save for retirement, how to adjust stocks and bonds in a portfolio, and how to determine insurance needs. Veritat's backers include Andrew Rudd, co-founder of the financial-information firm Barra, and Arnold Wood, head of Boston money manager Martingale Asset Management. Mr. Smetters says the firm has so far secured about $1.25 million in funding. "The problem with traditional financial planning is that it's a labor-intensive human resource that's very high cost," Mr. Smetters says. "But most people actually want to talk to somebody about their financial plan." Veritat charges a $250 upfront planning fee, plus $40 a month. That includes three initial consultations and quarterly and annual reviews, all conducted via online video chat. A similar service, People's Financial Advisor, charges $99 for a computer-generated financial plan and $99 for each telephone consultation with a human adviser. Neither firm charges commissions. Both favor index funds, rather than the pricier investments often pushed by brokers and financial planners. All this makes sense, but will it work? "A number of folks have chased this dream of online advice," says Bill Doyle, an analyst at Forrester Research. "It's likely that more will fail before someone actually succeeds." Adam Apt, a financial adviser in Cambridge, Mass., who has worked at two firms that sought to provide computerized financial advice online, warns that the strength of the idea also is its weakness. "Who is most likely to go for automated investment advice?" he asks. "People who don't have a lot of assets outside a retirement plan." That makes it difficult for the advisory firm to earn adequate income from money-management fees. Robert Schumann of People's Financial Advisor says that in three years his online firm has sold only "a couple of hundred" financial plans. He says a bank bought a plan for each of its roughly 200 workers. "But only about 25% of them actually used it," he says, "even though they didn't have to pay anything for it." One obstacle, says Mr. Schumann: Many people feel financial planning is worthwhile only for the wealthy. Others are suspicious that there must be a catch hidden behind the low cost. So far, says Mr. Doyle of Forrester Research, "the lack of a well-integrated human touch" has been the undoing of most attempts at online financial planning. He says he thinks Veritat's blend of automation and personalization might have wide appeal. If he is right, the middle class might finally stand a decent chance of getting upper-class advice. We all spend money on things we don't need. Question is, how many of the things that we buy are basic needs that we really cannot do without? For boomers, the answer appears to be: a lot. From haircuts to travel to pet care, some people in the 45-to-60-something set claim to have a lot of needs. Read Catherine Carlock's story today for more on how needy boomers are -- and what that's going to mean for their retirement lifestyles. Plus, don't miss our real-estate coverage, including a video on net-zero-energy homes, a report on how your mortgage-insurance company may come after you if you walk away from your loan, and a story with some startling insights from borrowers who've gone through the home-loan-modification process. To be fair, when it comes to needs versus wants, "pet care" is a tough one. Sure, the initial decision to own a pet is a luxury. But once you own that pet, you have a responsibility to it. So pet care is, in a sense, a need. Or at least a duty. When it comes to rabies shots, you don't want to be cutting costs. Do you need or just want your Internet connection and an annual family vacation? What about your pet? For many baby boomers, those are all basic needs, not luxuries, according to a new survey. See story on what boomers consider basic needs. Net-zero-energy homes are gaining in popularity, but before buying a green home or an add-on product designed to generate energy, you'll want to do your homework, MarketWatch's Amy Hoak reports. Watch video on houses that make their own energy. Question: I am currently living in a house with a mortgage that is upside-down. My house in Pennsylvania is probably valued at $175,000, and my outstanding loan balance is $250,000. See Realty Q&A on the perils of walking away from your mortgage. When Karol Enferadi finally received a contract for her home-loan modification, she wrote "rejected" on it in large letters and mailed it back to Wells Fargo. See tips on surviving a home-loan modification. Starting this year, Social Security will pay out more in benefits than it collects in payroll taxes. MarketWatch's Catherine Carlock talks with financial adviser Ira Fateman about what the program's deficit means for Americans' retirement plans. Watch video on what the Social Security shortfall means for you. 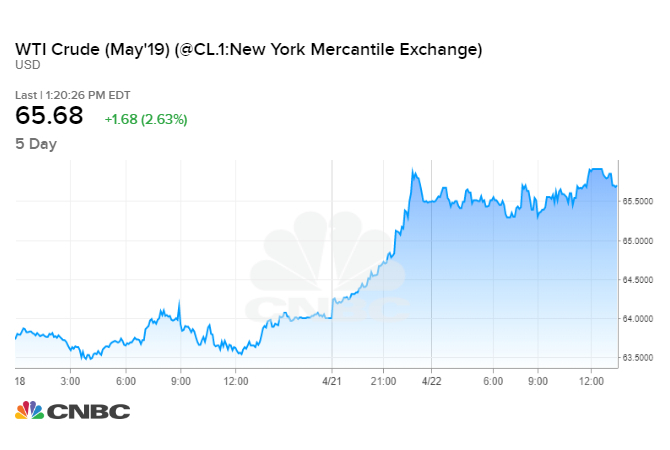 Financial markets can be excused for seeing in Friday's jobs numbers a mirror image of the hot summer weather blanketing the United States. See story on what Congress can do about jobs. U.S. employers continued to hire but at a sluggish pace that adds to pessimism about the economic outlook and may put pressure on the Federal Reserve to take more steps to support the economy, government data indicated Friday. See story on the unemployment rate and job market. Friday's jobs report earned congressional Democrats a fresh drubbing from their Republican opponents, as both sides gear up for midterm elections already expected to result in losses for members of President Barack Obama's party. See story on July jobs data and the Democrats in Congress. The July nonfarm payrolls report wasn't nearly as bad as it looks on first glance, but it's still pretty discouraging. See story on the millions who have simply given up on a job. White House officials including Austan Goolsbee are among potential successors for Christina Romer as she exits the Council of Economic Advisers, a high-profile position that requires advising the president and selling the Obama administration's policies to the public. See story on Obama's likelihood of picking from insiders for economy post. Shares of the for-profit companies granting university and college degrees declined Friday after the Washington Post Co. said proposed U.S. regulation of for-profit educators could harm its Kaplan division. See story on for-profit educators and their regulatory fears. HP CEO Mark Hurd ResignsHewlett-Packard CEO Mark Hurd resigned following a sexual harassment investigation. Is the World Broke? A look at why the employment situation remains stuck in a rut. Week Ahead The Federal Reserve meets Tuesday following an ugly jobs report. WATCH Former Council of Economic Advisors Chair Christina Romer on how taxes have impacted employment and her reasons for leaving her position. Health-care reform helps lower drug prices, but there are steps you can take to further reduce costs. Aug 6, 2010 AES Q2 10 Earnings Conference Call At 10:00 AM ET The AES Corp. (AES) will host a conference call at 10:00 AM ET, August 6, 2010, to discuss its Q2 10 earnings results. To access the live webcast, log on at www.aes.com To hear the live call, dial 1-888-566-7708 (US) or +1-517-308-9025 (International) with passcode 8610. A replay of the call can be heard by dialing 1-800-331-1949 (US) or +1-402-220-0191 (International) with passcode 8610. Aug 6, 2010 Progressive Investor Conference Call At 10:00 AM ET Progressive Corp. (PGR) will host a conference call on Friday, August 6, 2010, beginning at 10:00 AM ET, to discuss its Quarterly Report on Form 10-Q with the SEC. The management will respond to questions relating to these published reports and the its operations. To access the webcast, log on at http://investors.progressive.com/events.aspx A replay will be available by calling 1-800-839-3139. Aug 6, 2010 Progress Energy Q2 10 Earnings Conference Call At 10:00 AM ET Progress Energy Inc (PGN) will host a conference call at 10:00 AM ET, August 6, 2010, to discuss its Q2 10 earnings results. To access the live webcast, log on at www.progress-energy.com/webcast To hear the live call, dial 913-312-1240 with passcode 3503446. A replay of the call can be heard by dialing 719-457-0820 with confirmation code 3503446. Aug 6, 2010 Pepco Holdings Q2 10 Earnings Conference Call At 11:00 AM ET Pepco Holdings, Inc. (POM) will host a conference call at 11:00 AM, ET, to discuss Q2 10 earnings results, on August 6, 2010. To access the live webcast, log on at www.pepcoholdings.com/investors To hear the live call, dial 1-866-356-4281 (US) or 1-617-597-5395 (International) with passcode 67137875. A replay of the call can be heard by dialing 1-888-286-8010 (US) or 1-617-801-6888 (International) with passcode 85742855. Futures Slide on Jobs DataStock futures sank into the red following a worse-than-expected July employment report. Is the World Broke? Canada's economy unexpectedly shed 9,300 jobs in July. AIG reported a net loss of $2.7 billion mostly as a result of a large goodwill impairment charge. Four lawmakers introduced a bill to strike the provision in the Dodd-Frank Act that potentially gives the SEC powers to deny FOIA requests. WATCH State Rep. Karen May, (D-Ill.), discusses the impact of corruption on Illinois's pension system. Lots of economic news today: Council of Economic Advisors chair Christina Romer is resigning at the end of the month, which, combined with Peter Orszag's departure, leaves the Obama economic team without two of its lead players. MIT professor Peter Diamond's nomination to the Federal Reserve Board of Governors has been sent back to the White House by the Senate because of GOP opposition. And we're starting to see some opposition to extending the Bush tax cuts without offsets among Republicans, including swing-vote George Voinovich. Meanwhile, the Senate released the Kagan yesterday, approving the former-solicitor general's nomination to the Supreme Court 63-37, and then passed a $4.7 billion school nutrition bill. Speaking of nutrition, DC's set to get a lobster-roll truck next week; just one more entrant into the city's delicious food-cart renaissance. But ever wonder why DC's suddenly getting so many food trucks and carts? Policy, my friends. Delicious, delicious policy. It's Friday, and now I want lobster for breakfast. Welcome to Wonkbook. Christina Romer is leaving the White House to return to UC Berkeley, reports Lori Montgomery: "Obama and his chief economic adviser, Lawrence H. Summers, praised Romer on Thursday, noting that she will continue to serve the administration as a member of the Economic Recovery Advisory Board led by former Federal Reserve chairman Paul Volcker...It was not immediately clear who would replace Romer. White House observers called Austan Goolsbee, a member of the Council of Economic Advisers, an obvious choice, but that would leave Obama without a woman on his senior economic team." Opposition to extending the Bush tax cuts is spreading among Republicans, reports Walter Alarkon: "Sen. George Voinovich (R-Ohio), President Reagan's budget chief David Stockman and former Federal Reserve Chairman Alan Greenspan have each argued that extending the tax cuts -- set to expire at year's end -- would increase the nation's $13 trillion debt. 'It's like tax reductions, you don't need to pay for them? To me, that's nonsense,' Voinovich said." Elena Kagan has won confirmation, but the tight margin suggests future confirmation battles will be brutal, reports Josh Gerstein: "Goldstein said Kagan's margin is uncomfortably close to the 60-vote threshold the majority party needs to end a filibuster...Comparing Ginsburg's 96-3 landslide with Kagan's 63-37 tally offers the best evidence of how much things have changed. As the former head of the American Civil Liberties Union's women's rights project, Ginsburg clearly had liberal credentials, though she also had more than a decade of experience as an appellate court judge." The Senate has passed a $4.5 billion school nutrition bill, reports Abby Phillip: "Senators...funded the reauthorization using a different set of budget offsets from the food stamp or the Supplemental Nutrition Assistance Program, which the Senate also used to fund a $26 billion state aid and education funding bill on Thursday. SNAP received a funding boost in the 2008 stimulus bill, but has suffered deep cuts this week, with a $19.9 billion used from the emergency state aid bill; the child nutrition bill will siphon off another $2.2 billion from the program. In a conference call with reporters on Thursday, Lincoln said the money cut from SNAP would not have been spent until 2013." Scandinavian pop interlude: Jens Lekman plays "Your Arms Around Me" live. Still to come: Fannie and Freddie are helping attorneys profit from foreclosures; the Senate has kicked back one of Obama's nominees to the Fed's Board of Governors; environmental groups are avoiding staff shakeups after the failure of cap and trade; and an opossum gets a pedicure. The Senate has returned Peter Diamond's nomination to the Fed Board of Governors, report Pedro da Costa and Rick Cowan: "The animosity toward Diamond, who has said he is more worried about deflation than inflation, first emerged during the Senate committee vote...Richard Shelby, the committee's top Republican, said at the time that Diamond did not have the right sort of experience for the job. 'I do not believe the current environment of uncertainty would benefit from monetary policy decisions made by board members who are learning on the job,' the Alabama senator said...It was unclear whether Obama would resubmit Diamond's nomination or name someone else to the post." Fannie Mae and Freddie Mac are assisting lawyers who profit from foreclosures, reports Andy Kroll: "Hiring lawyers on a case-by-case basis was burdensome, so Fannie and Freddie put together a stable of law firms, prime contractors prepared to litigate large bundles of foreclosures quickly and cheaply. They urged these handpicked firms to bring in-house all of the related services--inspections, eviction notices, sales of repossessed properties, and so forth--or at least to retain a suitable subcontractor to handle the tasks. Thus emerged the foreclosure supermarket." The Senate state aid bill received final passage, report Lori Montgomery and Jenna Johnson: "Even as the federal government is preparing Friday to release new unemployment figures likely to underscore the weakness of the economic recovery, a separate jobs bill aimed at spurring hiring by small businesses was stalled in the Senate and unlikely to move until after Labor Day. Obama urged the Senate to quickly wrap up work on the package. Aides said a final Senate vote is likely Thursday afternoon. The package would then go to the House, whose members will return to Washington on Tuesday, House leaders said." Paul Krugman thinks Paul Ryan is hardly the truthteller he's made out to be: "The Tax Policy Center finds that the Ryan plan would cut taxes on the richest 1 percent of the population in half, giving them 117 percent of the plan's total tax cuts. That's not a misprint. Even as it slashed taxes at the top, the plan would raise taxes for 95 percent of the population...In its first decade, most of the alleged savings in the Ryan plan come from assuming zero dollar growth in domestic discretionary spending, which includes everything from energy policy to education to the court system. This would amount to a 25 percent cut once you adjust for inflation and population growth. How would such a severe cut be achieved? What specific programs would be slashed? Mr. Ryan doesn't say." Steven Pearlstein argues that philanthropy is not enough to fight economic inequality: "Yes, philanthropy has been important, but so have unions, which ensured a fair distribution of corporate profits. So have antitrust laws that prevented successful companies from snuffing out entrepreneurial competition. So have norms of corporate behavior that made it socially unacceptable for top corporate executives to pay themselves 350 times what their workers made. And so have tax-supported schools, playgrounds and hospitals that were good enough to be used by rich and poor alike." Questionable moments in animal hygiene interlude: How to give a pedicure to an opossum. Green groups won't shake up their leadership following the cap and trade defeat, reports Coral Davenport: "EDF had spent $20 million on climate legislation since October 2008. Al Gore's Alliance for Climate Protection pledged in 2006 to spend $300 million, but it's unclear how much it ended up using. Enraged environmentalists flooded the White House with phone calls after the quotation appeared in publication. Publicly, they decried the finger-pointing and insisted they aren't alone in deserving fault, saying Obama failed to use his bully pulpit and moderate Senate Republicans weren't allowed by their leaders to fully negotiate." BP has finished cementing the leaking oil well, reports Guy Chazan: "Privately, some BP officials say that with the well now cemented shut, there is less need to kill the well using a so-called bottom kill procedure via the relief well. On Thursday, Retired Coast Guard Adm. Thad Allen, who heads the federal oil-spill response, reiterated that the operation would only be considered complete once the relief well was drilled, partly because there could be no guarantee that the cement BP had pumped into the well had filled it completely." David Roberts thinks environmentalists and libertarians can find common ground on climate change: "Some regulatory incentives degrade environmental and economic performance. You could point to fossil-fuel subsidies, antediluvian utility regulations, unpriced carbon emissions, any number of tax breaks and incentives that favor industry incumbents, even parts of the Clean Air Act. These are market distortions that incentivize inefficiency (i.e., stupidity) and therefore waste (i.e., pollution). Removing or rationalizing them -- making a more perfect market, with more competition, better information, and lower barriers to entry -- would improve environmental performance." The hidden side of Washington interlude: David Deal photographs the physical infrastructure of DC. The Medicare trustee's report suggests health care reform helped the program's solvency, reports Jackie Calmes: "Medicare's hospital insurance trust fund should remain solvent until 2029, or 12 years more than projected in last year's report, the trustees said. The long-term, 75-year shortfall for the hospital fund also is reduced, as are the projected costs of the separate Medicare Supplementary Insurance program. But both parts of the Medicare system will require additional reforms to be financially sustainable, the trustees say." The FCC has ended net neutrality talks with business, reports Cecilia Kang: "The participants also debated whether carriers could offer faster downloads for some Web sites offered to customers as 'specialized services.' The parties agreed that dedicated capacity for things such as telemedicine could be allowed, but some feared that allowing that could result in tiered service offerings where a carrier would charge for better-quality channels dedicated to YouTube, for example, over Netflix." Charles Krauthammer thinks the administration is using executive authority to circumvent the will of Congress: "Last week, a draft memo surfaced from the Department of Homeland Security suggesting ways to administratively circumvent existing law to allow several categories of illegal immigrants to avoid deportation and, indeed, for some to be granted permanent residency. Most disturbing was the stated rationale. This was being proposed "in the absence of Comprehensive Immigration Reform. "...Regardless of your feelings on the substance of the immigration issue, this is not how a constitutional democracy should operate. Administrators administer the law, they don't change it. That's the legislators' job." Adam Winkler thinks the Kagan hearings showed the confirmation process works: "Even the politicization of the process is salutary. Every nominee's record is closely examined for controversial statements or ideas, meaning some qualified people are excluded. But the consequence is that anyone who does make it through the process is likely to have more or less mainstream views. Radicals whose jurisprudence would likely take us too far left or too far right need not apply. This is a net positive: the Court should stay within the broad mainstream of American political thought." Closing credits: Wonkbook compiled with the help of Dylan Matthews and Mike Shepard. Gold Fields CEO Nick Holland discusses safety, electricity costs, true empowerment and the gold price. "If gold is not between $1,500 and $2,000 in the next 18 months, I'm dead wrong." In the next 22 minutes, 100 Americans will die under the care of sincere conventional MDs. Discover what could have saved 95 of them...And one of them might be YOU. Save yourself a lot of pain, money - and maybe even your own life. The great American tradition of individualism, entrepreneurship and revolution is being systematically undermined by a cadre of financial strongmen bent on turning us into just another "banana republic" - where a subdued and apathetic population is subjugated by a ruling class of wealthy oligarchs. The gross irony is that the same capitalist system that molded America into the strongest, most productive and richest nation in history, has been transformed into a mostly private moneymaking enterprise whose beneficiaries are those who actually produce nothing but paper profits. The story of America's transformation from great experiment to another banana republic is one in which economic crises were manipulated to create a political front for an elite banking class. The big boys of oil just don't command the money and power they used to. Buy shares of Exxon Mobil, and you might end up with a slightly better annual return than the average bank CD... if you're lucky. Right now, the real energy money belongs to a small, niche sub-sector of the oil-production process. And it's about to create a wave of "new energy" millionaires. Here's how to become one yourself. The second-quarter earnings season has gotten off to a strong start, but it's been no match for bears who are less than thrilled with future earnings prospects. More than half of the companies on the Standard & Poor's 500 Index have reported second-quarter earnings results. And so far, they've been strong, with two-thirds of those companies beating earnings estimates, three-fifths beating on sales and almost half beating on both earnings and sales. As a result, the consensus second-quarter earnings per share estimate has climbed to $20.63 from $19.60 at the beginning of the month. Merrill Lynch analysts expect final second-quarter earnings per share to come in at $20.75 - a 5% sequential improvement from the first quarter. That would be a deceleration from the 15% sequential growth seen between the fourth quarter of 2009 and the first quarter of 2010, but it's good growth nonetheless. In fact, it puts 2010 S&P 500 earnings at about $83 per share. And at current prices, that gives the market a price-to-earnings multiple of just 13.3-times - below the long-term historical average of 15. The BP PLC (NYSE ADR: BP) oil spill disaster has shone a spotlight on oil industry pollution. While BP takes the brunt of public anger, no oil company has escaped the wrath of critics who are eager to expose an industry they feel shortcuts safety standards for profit. Comments from readers with first-hand industry experience continue to pour into Money Morning's Mailbag, sharing their thoughts on the oil industry's operations.